Egypt is famous with its ancient civilization and some of the famous monuments in the world, including the pyramids of Giza, the Sphinx and ancient Luxor temples thousands of years old. Though most of tourist attractions in Egypt focused on the large buildings along the Nile River, but you can enjoy a trip to Egypt by snorkeling and diving along the Red Sea coast. Other tourist attractions in Egypt which you can enter in your travel agenda is camel rides into the mountains of the Sinai, secluded oasis tour or a visit to the Coptic monasteries of the Eastern Desert. Mount Sinai is the highest peak in the town of Saint Kahterine's. 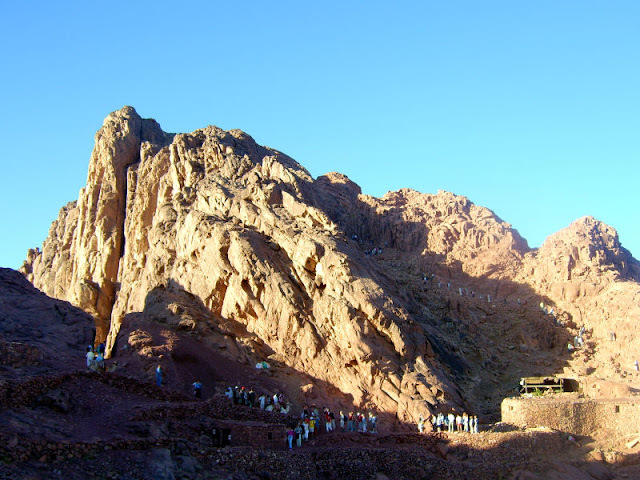 Mount Sinai has been visited many times by a lot of tourists, because in this mountain Moses received the revelation of God, namely the 10 commandments given to Israel. At the peak of Sinai also stands a mosque and a church, and many climbers are attracted towards the peak. 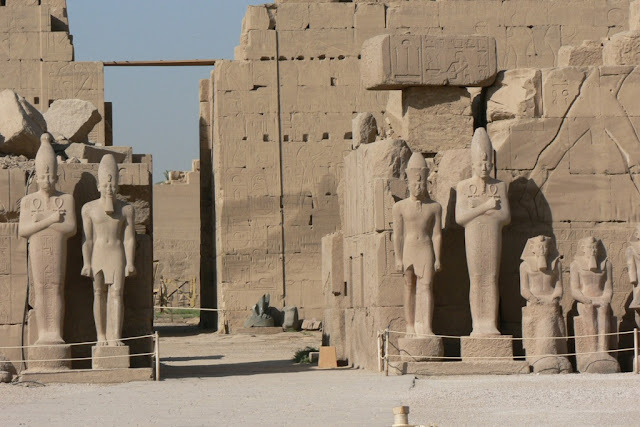 Karnak is a complex of temples, the ruins of temples, colonnades and other buildings. This site shows that there was a civilization long time ago. There are 3 main temples and many small ones. In the reign of Pharaoh, Karnak was built as a place of worship. 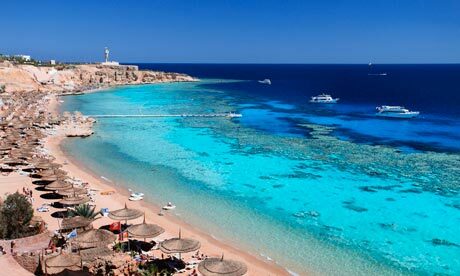 Sharm el-Sheikh is a tourist city area in Egypt, lots of entertainment and tourism facilities at this place. The strategic position that is facing the gulf of Tiran and the Gulf of Aqaba, Sharm el-Sheikh is the right place for snorkeling, scuba diving and much more. At the Sharm el-Sheikh, we can see Mount Sinai and Naama Bay. The Golf course with complete facilities is also available in here. 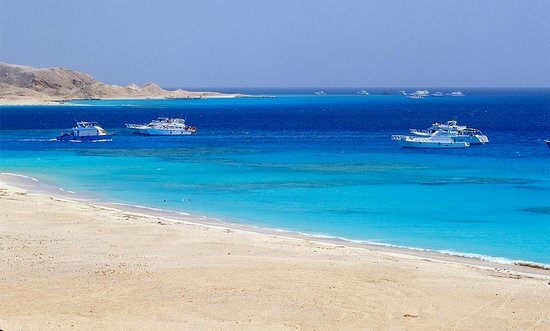 Hurghada is a city in Egypt located on the Red Sea and is famous for its beautiful and with white sand beach. Hurghada also offers tourist attractions with the best facilities. In Hurghada there are many resorts, hotels and inns. A coral reef at Hurghada Beach is considered as the most beautiful one in the world. Hurghada also become an international water sports such as windsurfing, sailing, diving and more. A trip to Egypt would not be completed without seeing The Nile River. 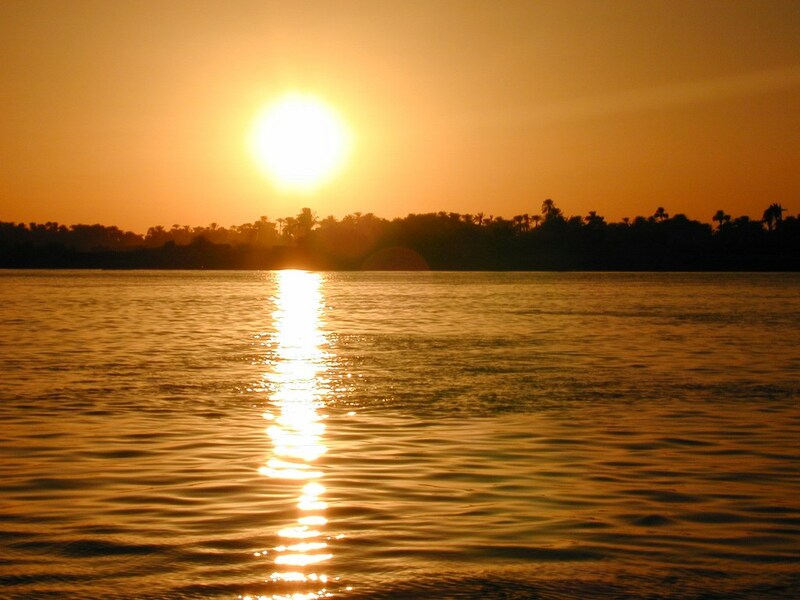 The Nile is the longest river in the world and legendary river where Moses once washed away into the Nile until found by Pharaoh's daughter. The Nile is the heart of the Egyptians. Egyptians life rests on the Nile. Ranging from tourism facilities, dams, center of economy, agriculture, fisheries, transportation and so forth. It is true then when people say "The Nile is a gift to the people of Egypt". Built between 876 and 879 AD, Ibn Tulun Mosque is one of the oldest mosques in Cairo. 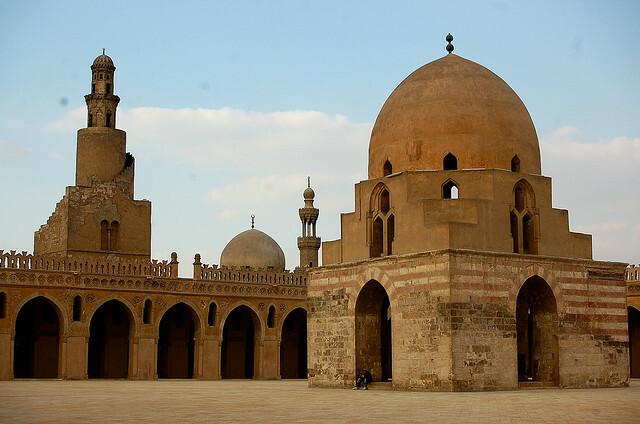 The tourist attraction was built by Ahmad Ibn Tulun, Abbassid governor of Egypt. The mosque is built around a courtyard, with a space enclosed on each part of the four sides. The tower is equipped with outer helical staircase similar to the famous tower in Samarra, probably built a few centuries later. One part of the James Bond film, The Spy Who Loved Me, filmed in the Ibnu Tulun Mosque. Red Sea, at the coast of Egypt, is one of the tourist attractions in Egypt which is the most beautiful spot in the world for diving attraction. 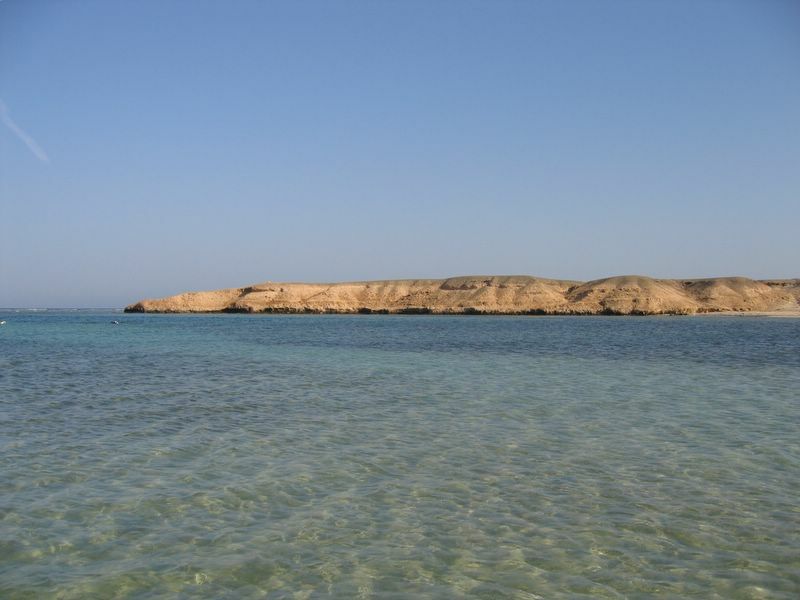 The water of the Red Sea that is famous for its spectacular visibility and some of the most exotic seascapes features. With a wide stretch of coral reef, Red Sea is a home of thousands of different sea creatures. Red Sea beach resort located on both sides of the ocean, on the east side and part of the Sinai peninsula is incorporated Resort which was built by Sharm el Sheikh and his fellow neo-hippy, Dahab. At the northwest coast of the Red Sea there is Hurghada resort and some new resorts. Abu Simbel is an archaeological site that consists of two large stone temples in southern Egypt on the western side of Lake Nasser. 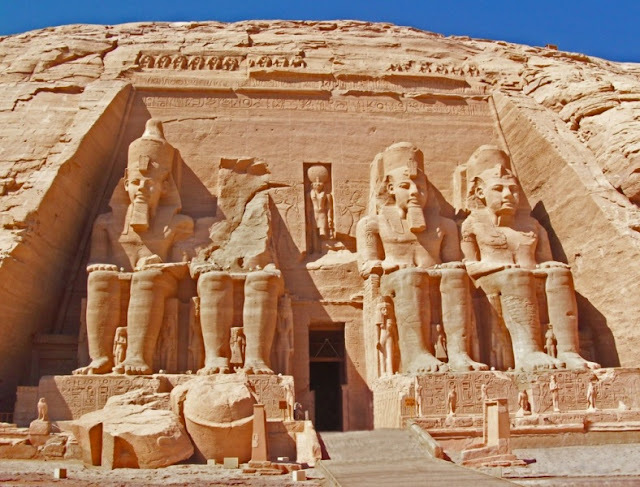 The twin temples originally carved out of the mountain during the reign of Pharaoh Ramses in the 13th century BC, as a lasting monument to himself and his queen Nefertari. The complex of Abu Simbel was moved entirely in 1960, when the temple threatened by submersion in Lake Nasser, due to the construction of the Aswan High Dam. Abu Simbel until today has become one of the popular tourist attractions in Egypt. Located in the Libyan Desert, Siwa Oasis is one of Egypt's isolated settlements, with a population around 23,000 people, mostly Berber ethnic. 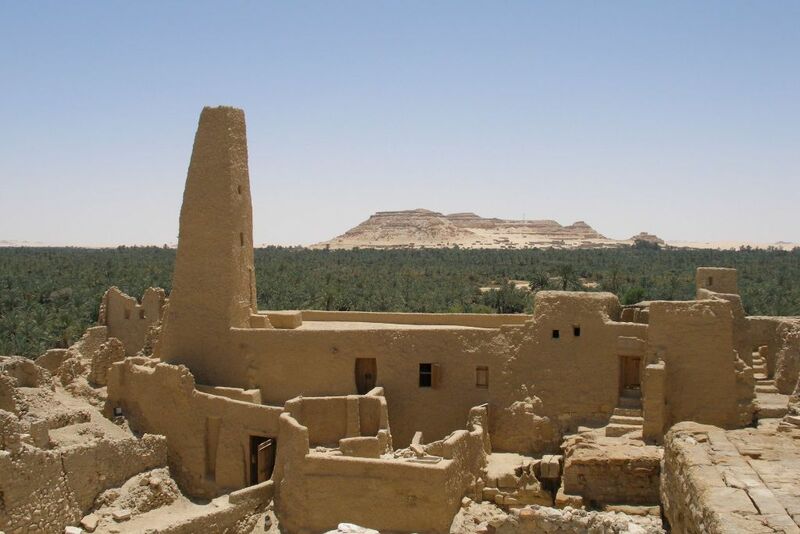 Located in the old trade route, it is an important place for the trade route, as natural springs and has a shade of palm trees which provide shade for travelers from the desert. With the collapse of the Roman Empire, Shiva began to decline in terms of the number of the visits. In recent decades, tourism has become an important source of income for this area. Much attention has been given by the Egyptian government to this place as tourist attractions, to create hotels that use local ingredients and to play in local style. Pyramids at Giza located around the periphery southwest of Cairo and is the undisputed main attraction in Egypt. 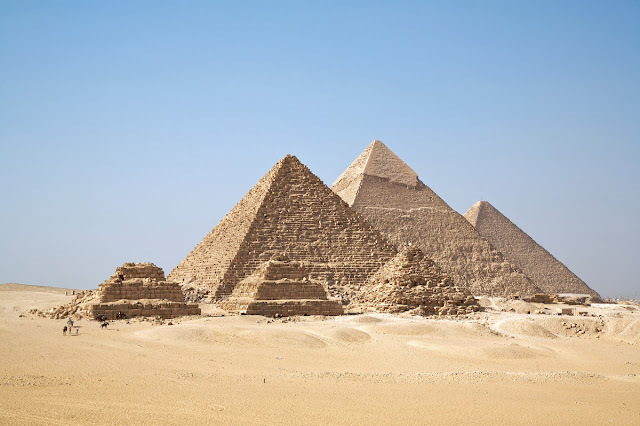 Pyramids at Giza were built during a span of three generations - by Khufu, his son Khafre and Menkaure. Khufu pyramid is the Pyramid of high measuring 139 meters (455 feet) so that Khufu is the largest pyramid in Egypt, although the Pyramid of Khafre seems bigger, it is because the location of the building which is located at a higher altitude. Pyramid of Giza is one of the famous places to visit when you have a plan to trip to Egypt. whenever you have a plan to trip to Egypt, above are 10 famous places for you to visit.